Trying to calculate your estimated monthly car payments? MINI of Escondido’s finance center has done the work for you. Use our payment calculator to estimate on your monthly auto loan payments in the Escondido or San Diego areas. Determine your purchase price for your MINI Clubman or MINI Countryman with our easy-to-use payment calculator. Even if you’re looking into a used vehicle, this straightforward tool will reliably estimate your monthly auto loan payments. 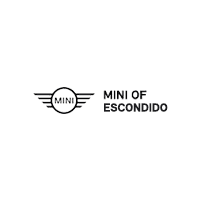 Rely on MINI of Escondido for Leasing or Financing Help! If you have questions leasing or financing, your monthly loan payments, your monthly interest payments, or car financing related questions generally, simply reach out to our friendly staff. We’re here to help you get agreeable loan terms on your next MINI Hardtop 4 Door. Or, if you’re ready to take your next MINI home to San Diego, simply apply for financing online!